Women’s Health – One Point Medical. ‘Well Women’s Health Checks’ specific to these stages of life can be arranged and early interventions put in place. Weight management, good nutrition and complimentary exercise programs can be integrated into your overall health care strategy to improve your quality of life and wellbeing. From planning and preparing for a pregnancy, through to early pregnancy and labour, to what follows, we are with you every step of the way. The physical, emotional, mental and social challenges that can be faced before and during pregnancy can bed eased with good advice, careful management and treatment where needed. After all pregnancy is the beginning of the journey into parenthood, so having a solid foundation is worth the time and effort. We can talk you though what is needed for each stage of your unique journey. By letting us assist you in being fit and healthy when planning a pregnancy and maintaining this throughout pregnancy you can concentrate on getting ready for what lies ahead. 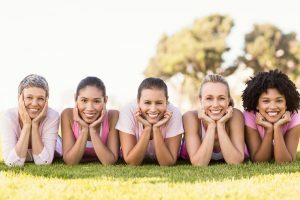 A natural event for women, Menopause can range from the relatively mild, such as hot flushes, through to more extreme symptoms where support can be sought. We can help prepare you for self managing this life stage to overcome any physical or emotional hurdles. Management of menopause symptoms can range from adjustments to diet and lifestyle to medication and counselling. There are many options available for those of us attempting to reach our ideal weight. Yet it is important before starting any weight management program, to have your medical history and current state of health assessed. Based on this information our doctors will be able to guide you towards what method and level of program suits you most. By starting with a reputable weight management program, you will be able to lose weight slowly and safely. Our doctors will then be able to provide support and advice on how to maintain a healthy weight for the long term. Staying strong and healthy is essential for our quality of life, so investing time in this area has multiple benefits. It would be great to be an expert at everything, but sometimes we need advice to achieve our goals and maintain the standard once we are there. Having the science to back up this is essential for success and we are able to provide the information and connections for your individual health needs.